Silsila Badalte Rishton Ka is one the most loving TV serial. Silsila Badalte Rishton Ka topmost rating TV serial on Colors Tv. Mauli tells that Ishan is not her father. Ishan is not her father Mauli tells Mishti. Mauli has decided to call off her relationship with Ishan after his mother refuses to accept her with Kunal’s family. 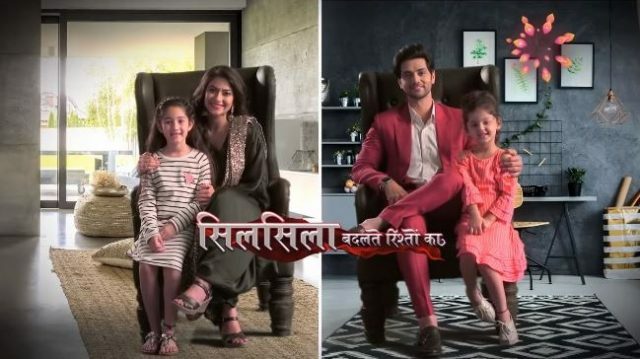 Silsila Badalte Rishton Ka 24th December 2018, written episode update begins with Mauli is extremely worried about Mishti’s behaviour. He tells Radhika and Deeda that Mishti pushed Pari into the swimming pool. Mishit feels that she is not important to her mother. She feels Mauli only cares for Pari. Mishti tells Mauli that only her pops love her. Mauli tells Mishti that Ishaan is not her father. To know this she gets very sad. Mauli has decided to call off her relationship with Ishan after his mother refuses to accept her with Kunal’s family. She has also removed the engagement ring to end her relationship with Ishan. After this, she cried aloud. But Ishan refuses to accept her decision because he feels that she alone can not decide the fate of their relationship. He did not except the breaking up the relationship. Ishan loves Mauli a lot and has dreams about their happy and successful future. He wants to raise Mishti as his daughter. But will he able to convince Mauli to change her decision. Will he told his mother to accept Mauli the way she is ? the circumstances are too difficult and complex at the moment. Mauli and Ishan’s relationship is on the verge of ending forever. Mishit hates both Kunal and Pari. Pari wants to know why Mishti hates her. Kunal does not feel he deserves Mauli’s love. He gets very upset and did not understand what’s going in his life.